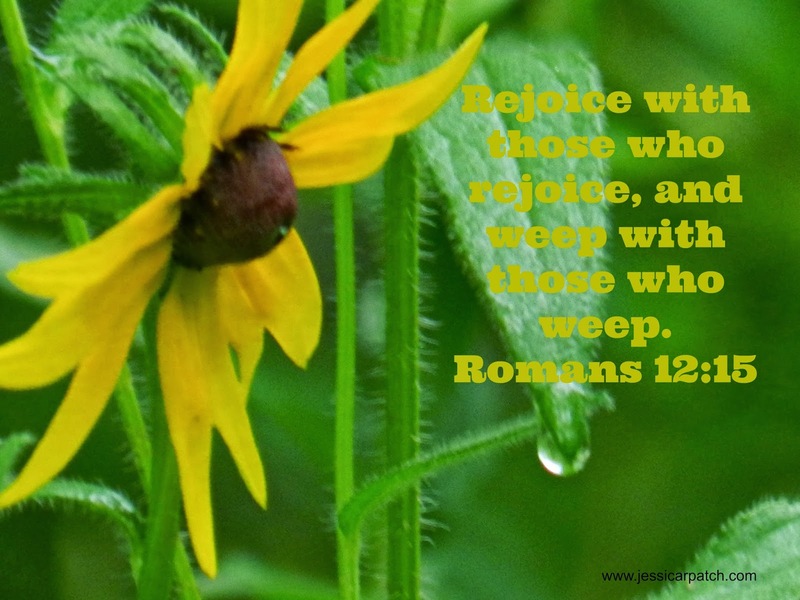 It's definitely easier to rejoice because squealing is so much more fun than weeping. However, weeping with those who weep is an incredible ministry that etches love in our minds and soothes scars in our hearts. Although it's important to rejoice with others, it takes a compassionate, committed friend/loved one to enter into that inner circle of our sorrow. Those are the ones who will stick with your through the hard parts of life, not just the easy times.